For a while now I've been playing with the idea of launching SIES!man. The relaxed styling integrates beautifully with the beach look of the summer collection and so another character was added to the nomadic adventure. 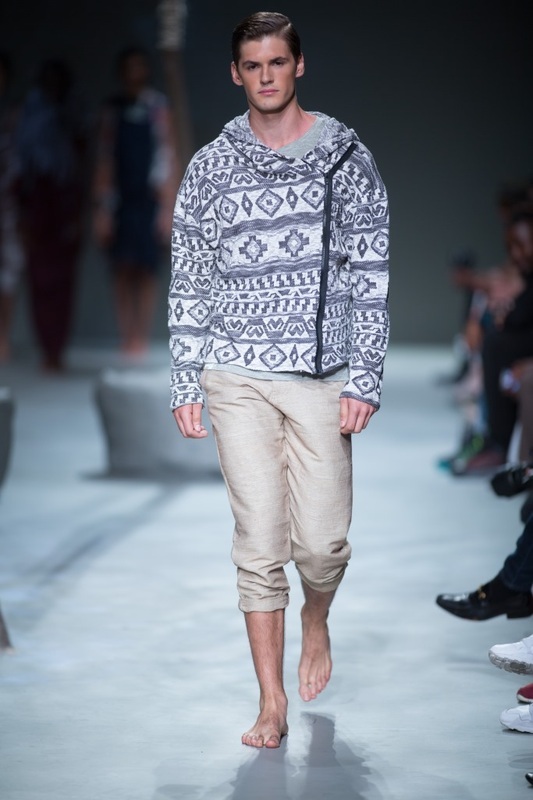 A blanket knit hoody, layered over a journal print T-shirt and paired with hemp-silk pants. Photo credits: Above Ivan Naudee, left Milk Photography.